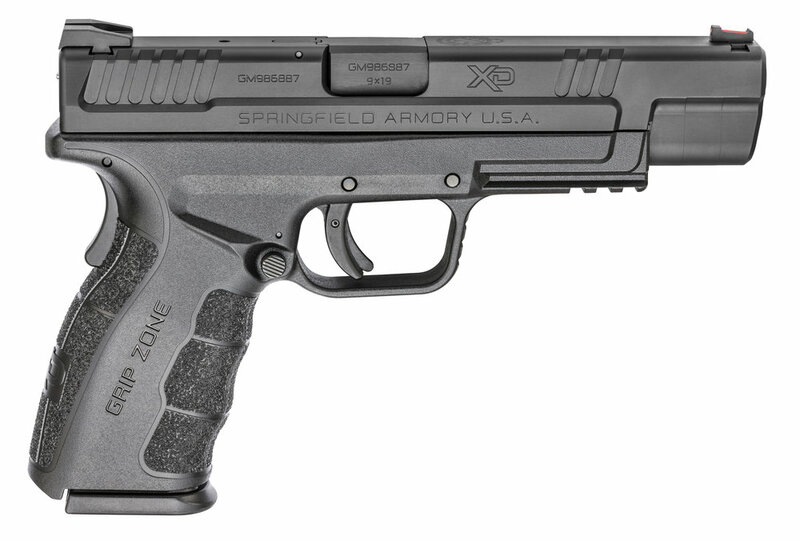 Today Springfield Armory released the XD Mod.2 Tactical model. In the last couple weeks that I have had time with this pistol I have grown to love it more each day. The one thing that I hate about it is that Springfield released it in the Winter time. All of the local ranges suspend most of the shooting matches until the weather is more moderate. If this would have come out during the summer, this pistol would have seen matches every weekend. The Tactical model continues the use of all the Mod.2 ergonomics so nothing has changed in that area and if you like the Mod.2 package you will like this as well. I see this as a great platform to build a competition pistol with. Yes you do have the XDM 5.25 pistol and that makes an excellent compition platform. But not everyone can afford its price tag. Remember that the Mod.2 pistols can be purchased significantly cheaper than the XDM pistols. Sure to some 100 bucks or more does not sound like a lot. but to many every penny saved can go into ammo, equipment or accessories. I tested this pistol with my competition holsters and it works like a charm. Since it used the same magazines as my XD Classic Tactical I am already basically set up for this to take over the competition duties of it's older brother. I talked with Powder River a couple weeks ago about the Mod.2 trigger kit and they should have them ready to go any time now. So by the time the new shooting season starts I should have had plenty of trigger time with the new pistol to get it nice and worn in. With me leaving for the Shot Show in a day, I have until Monday to figure out how to convince Springfield to just let me go ahead a pay for this pistol and keep it. Jan 15 KIMBER TO RELEASE A REVOLVER?